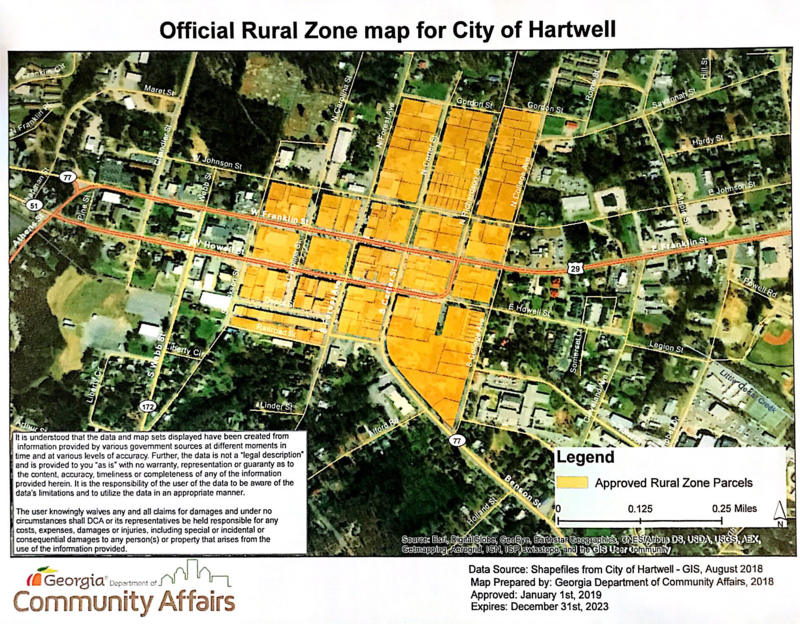 Hartwell received the RURAL (Revitalizing Underdeveloped Rural Areas Legislation) Zone designation starting January 1, 2019. 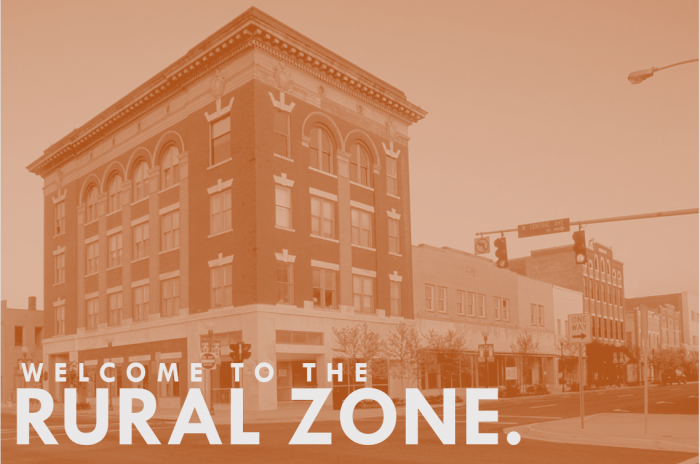 The purpose behind the RURAL Zone designation is to assist in the revitalization of our community by incentivizing new businesses to come to downtown Hartwell. Multiple sources can benefit – for instance, a single new coffee shop might provide job tax credits for the local business owner, an investment credit to an urban investor and a rehabilitation credit to a local contractor. Through incentivizing the creation of new jobs, investing in commercial property and restoring old buildings, entrepreneurs can receive an immediate return on their investment in Hartwell. Must create 2 Full-Time Equivalent (FTE) jobs within the RURAL Zone. Credit can be taken for 5 years as long as jobs are maintained. This credit is for purchasing property downtown within the RURAL zone. To claim this tax credit the investment property must be within the designated RURAL Zone and create 2 FTE jobs. Credit is claimed over 5 years. 2 FTC jobs in RURAL Zone must be created before Rehabilitation Tax Credit can be claimed. Once accepted, a copy will be provided to the applicant, the local jurisdiction, and the IRS. Attach certification to state income tax return when claimed.